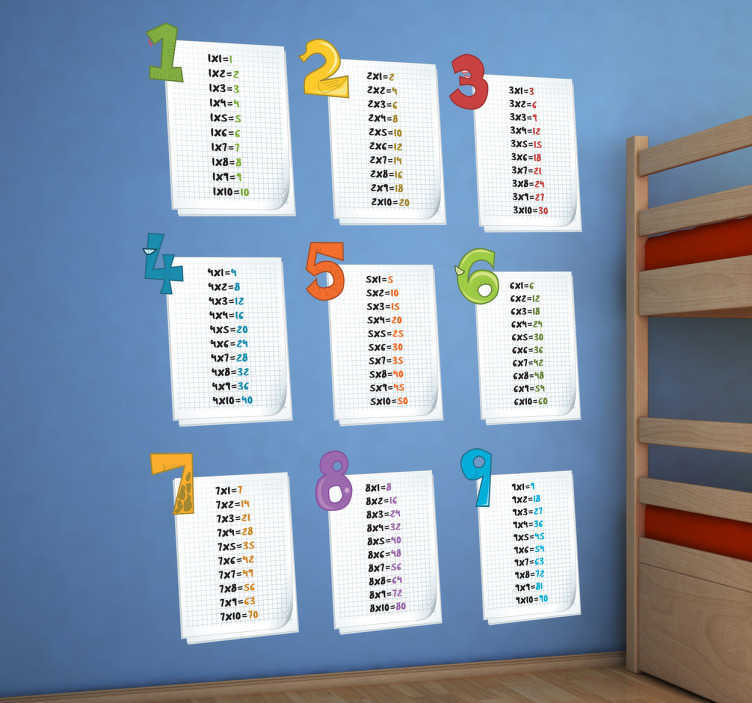 Collection of educational stickers for children with multiplication tables from 1 to 9. Decorate your children's room or classroom of a school with these attractive and colourful stickers. Learn and have fun at the same time with creative designs like these. The measures are on the set of stickers. In smaller dimensions we offer each sheet measuring about 10x12 cm.